IBM is adding new smarts to its Watson artificial intelligence system, including the ability to scour photos on social networks to see what you've been up to. 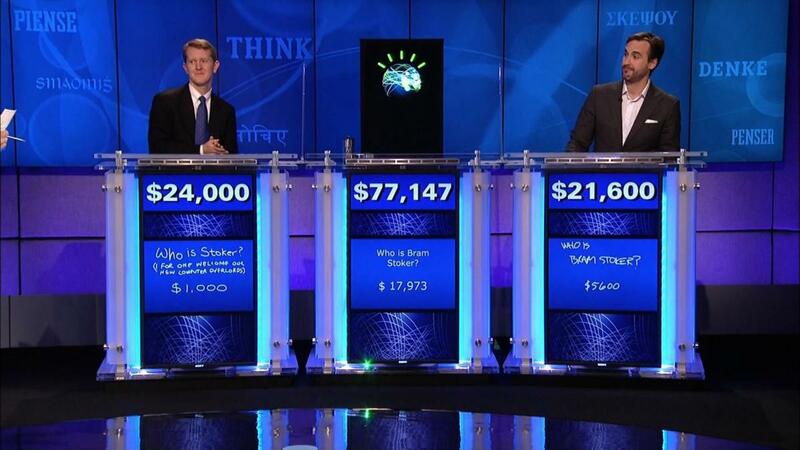 Watson began life as a hardware system built to win the TV quiz show Jeopardy, but it’s evolved into more than a dozen cloud services that developers can use to add cognitive capabilities to applications. IBM says there are now more than 100 commercial applications making use of Watson, and at an event in San Francisco Thursday it's showing off new computing services to encourage more developers to get on board. The services are offered in the form of APIs (application programming interfaces) that are accessed via IBM’s Bluemix cloud development platform. Companies that use them in commercial applications pay IBM a share of revenue, while businesses that use them internally pay by the number of API calls they make. The new services include Visual Insights, which analyzes images and videos posted to services like Twitter, Facebook and Instagram, then looks for patterns and trends in what people have been posting. Watson turns what it gleans into structured data, making it easier to load into a database and act upon. One obvious use case is marketing -- an application built with Visual Insights could give a company a more rounded view of what its customers are interested in. But IBM hopes developers will find more creative uses, too. It's also improved Watson's Text to Speech and Speech to Text APIs, which will be useful for building Siri- or Cortana-like apps for smartphones. But the services can be used for any speech interface, including for robots, which IBM says it's also expanding into with Watson. Another new service, Dialogue, helps a developer create branching conversations between a user and an application, so a computer can walk someone through the process of resetting a password, for instance. The upshot could be less humans and more machines in customer service roles. As more services become available, developers need a way to string them together, so IBM is also releasing a new toolset, Watson Knowledge Studio, that makes it easier to do that. In many cases, Watson's goal isn't to replace a human but to augment their decision making. Watson is well suited to those grey areas where there's no perfect right or wrong answer. It considers millions of hypotheses, tests them against what it knows to be true, and gives its best answer, with a percentage of certainty. It's then up to a human -- say a doctor or an investment banker -- to make the call. IBM created the division to commercialize Watson early last year, and said it would invest US$1 billion in the effort. Its traditional computer, software and service businesses have all been declining, and IBM needs new areas for growth. IBM doesn't only provide the computing power. If it thinks an application will take off, it will help companies to test it at scale, by pairing the app developer with another of its clients that might want to use the app internally. "We're like an incubator," said IBM's Lauri Saft, the vice president in charge of Watson ecosystem development. To attract more users to Watson, IBM is also opening a new lab in Silicon Valley where developers, start-ups and venture capitalists can try out the technology and meet with IBM engineers. There are two main instances of Watson today, Saft said, one in Austin, Texas, and the other in Raleigh, North Carolina. Work is "underway right now" to build additional systems overseas, she said.